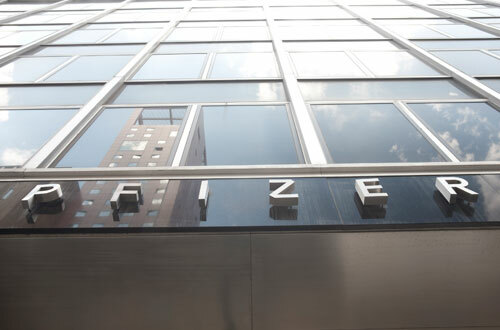 Regulatory reviews have started for Pfizer’s non-small cell lung cancer drug dacomitinib on both sides of the Atlantic, four years after a pair of trial failures left its future in doubt. The EMA and FDA have started the clock ticking on their appraisals for dacomitinib, a pan-EGFR tyrosine kinase inhibitor, for the first-line treatment of patients with locally advanced or metastatic NSCLC with EGFR-activating mutations. Dacomitinib missed its objectives in two phase III trials reported in 2014, but Pfizer stuck with the drug and completed a third late-stage trial - ARCHER 1050 - which published results last September. The study showed that dacomitinib improved median progression-free survival (PFS) compared to AstraZeneca’s first-generation EGFR inhibitor Iressa (gefitinib) to 14.7 months from 9.2 months, representing a 41% reduction in risk of disease progression or death. In the US, the FDA has given dacomitinib priority review status, setting up a possible approval in September that would allow Pfizer to start competing for a share of the first-line EGFR-mutated NSCLC market with Iressa and Roche's Tarceva (erlotinib), another first-generation drug, as well as newer agents like Boehringer Ingelheim’s Giotrif (afatinib). The problem for Pfizer comes in the form of AZ’s new-generation EGFR blocker Tagrisso (osimertinib), which is also under review as a first-line therapy for EGFR-mutated NSCLC after making rapid inroads into the market to become the standard for second-line treatment. That has resulted in a doubling of the drug’s sales to just under $1bn last year, making it AZ’s biggest-selling oncology drug. There is still some debate about the best order to deliver the drugs, as all EGFR inhibitors eventually succumb to resistance and lose their efficacy over time, although AZ has argued strongly that Tagrisso is the best option to be used upfront. There have also been reports that some oncologists are already using the drug off-label in treatment-naïve patients. Dacomitinib will nevertheless add to the array of drugs available to treat this form of lung cancer, and Pfizer’s chief development officer for oncology, Mace Rothenberg, says it “remains a challenging disease and new treatment options are needed”. EGFR mutations are seen in 10-35% of NSCLC tumours, says the company, and NSCLC is the most common form of lung cancer accounting for around 85% of all cases worldwide.